A man has shocked a pastor and his church members by giving God 10 percent of 420 million Naira. No one knows how he earned the sum. 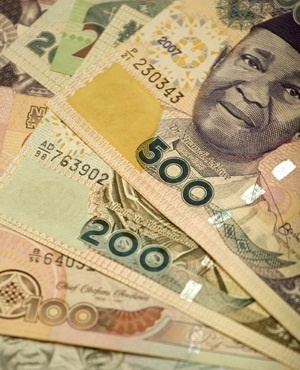 A man has shocked a pastor and his church members by paying a tithe of N42million. The man ,whose identity has been shielded paid the money into the UBA account of the NKST Church High level Makurdi. Although the Resident Pastor of the church, Dr. Frederick Ikyaan, initially denied knowledge of such offering, a copy of the church’s quarterly financial report, covering the months of January – March, confirmed the payment of N42million tithe to the church. The report showed that the deposit was the highest single offering from an individual for the quarter. The money was paid into the church’s account in January. The breakdown of the church’s financial report shows an income of N56.2 million and an expenditure of N33.7 million within the same period.. The church’s records also showed that out of the income, N44.6 million was generated from tithe, while a single person accounted for N42 million. Reacting to the financial report, the pastor said his initial denial was based on the allegations that the donor was an appointee of the Benue State Government. He said there was nothing wrong with the offering and insisted that the church has nothing to hide. Meanwhile, the tithe offering has stirred controversy in a state struggling to pay workers' salaries.